Lush are focusing on Self Love this Valentine's Day, and I just love that! It's also conveniently pretty well suited to my situation right now, as moving to Joburg hasn't been easy. Moving never really is, is it? But it's taken a lot of adjusting on all levels. It hasn't helped that my car and our furniture have all taken forever to get here but such is life. Given this is my situation, I'm making every effort to be as kind to myself as possible, and this is one thing I'm pretty good at - I know how to treat myself! I know when I need that extra TLC; that time out to myself to indulge in a good book, an indulgent pamper session, a yoga class or whatever it may be. I know how important it is and I know how much in can turn my mood or day around. The biggest bonus of my move (aside from being with Marc haha) is obviously being able to have a bath here and there. Guys, it's pretty much not stopped raining since I landed: BLISS! Anyway, this is where Lush comes into play - specifically their Valentine's collection, which is always up there with my absolute favourites as anything rose or floral scented wins me over in a heartbeat. Side note - their have been some customs delays on a few of the Lush V-Day items, they will still be coming to store so keep an eye out for them. See the things that have arrived so far here. This collection is EVERYTHING!! I think the thing that has struck me most about Lush, over the past year or so, is how sophisticated their scents have become. I have always loved this brand, and there have always been my few go-to scents, but lately they have moved more towards the elegant, sophisticated scents which I adore. This, combined with their transparency around their natural ingredients really makes it an easy indulgence. 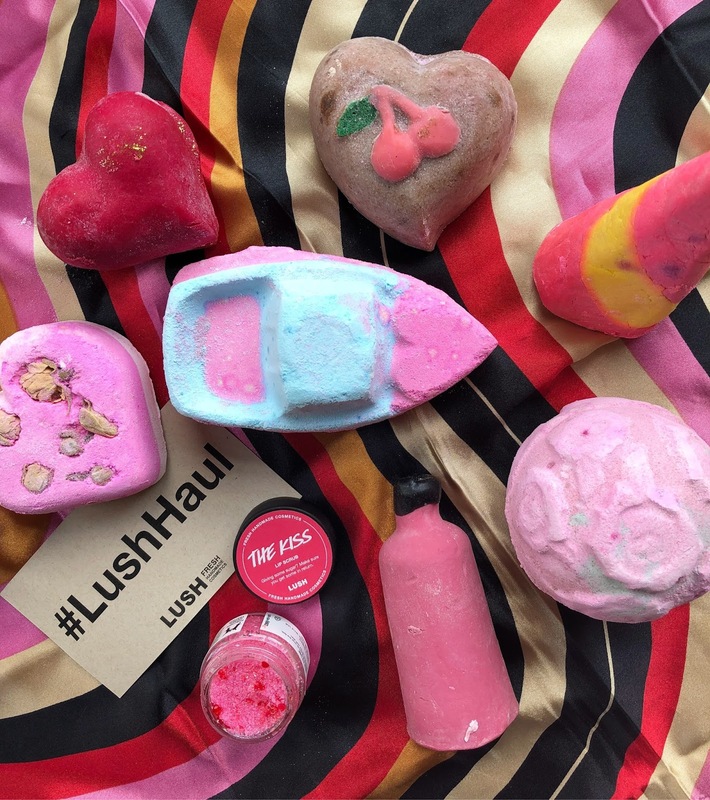 The range comprises of a bunch of bath ballistics, Bubbleroons (super hydrating solid oil type products), shower goodies as well as lip scrubs and obviously their new fragrance collection; https://za.lush.com/node/1538. Side note: these new fragrances aren't V-Day specific, but make a great #Treatyoself gift. I chose All Good Things and will be buying myself I'm Home too. No words for these scents. If you are into unique, super elegant and high-end scents - give these a go. Honestly. Those two are my fave.